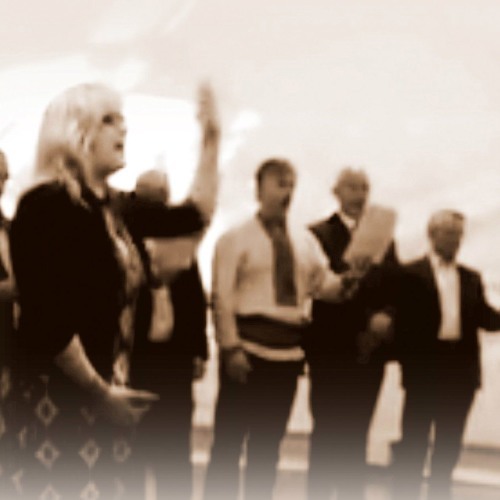 About "Verbovaya Doshchechka" (Вербовая Дощечка) My whole life, I've always wanted to sing with the Veryovka Ukrainian National Academic Folk Choir. Prior to traveling to England for my brother in law's wedding in September 2015, I enlisted the help of my friend Greg Kowalczuk to help me perform this song with some singers he knew would be at the wedding. I only sent Greg an mp3 of a multi-track recording I made. Greg, together with musical arranger Mike Onyskiw, created a score for the Manchester Ukrainian Chamber Choir to follow. They listened to my recording, as well as the original Veryovka recording and notated the harmonies exactly. The choir rehearsed this song only one time prior to my arrival, then on the night of the wedding, I was introduced to the choir for the first time, we sang this song through only twice, and ten minutes later performed it as you hear in this recording. Joining us were bride and groom Anna Kuszta and Andy Stebiwka, who were familiar with the song from a year prior, when I taught it to them during their first visit to the US. This whole thing was a dream come true for me personally, and the members of the choir all had similar emotionally powerful experiences. I didn't know the choir, and they didn't know me to begin with, and yet, thanks to Greg and Mike's efforts, we came together to make this unbelievably beautiful song come alive - as a gift to Anna and Andy.